Let me help you determine which one of our career solutions below will provide the most relief. Ford R. Myers, award-winning career coach, author and speaker, provides a full range of services and products that help you take charge of your career, create the work you love, and earn what you deserve. Please review all our programs and products below. Whether you’re seeking a new position, changing careers or moving up in your company – these unique resources will move you from where you are to where you want to be! 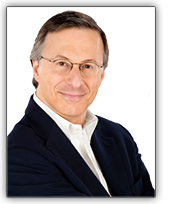 Career expert Ford R. Myers provides video coaching to improve your job search and career management skills. Watch this video and then scroll down to learn about all of our career services and products. Dramatically accelerate your success by participating in one of Ford’s powerful career coaching programs. Best-selling job search book shows you how to ‘Get The Job You Want.’ Available online and in bookstores. All of Ford’s career strategies, tools, resources, knowledge and advice packed into a complete home-study course. A unique coaching program that helps you plan and live your ideal retirement – with meaning, passion and purpose. Meet via video chat and still receive exceptional levels of connection, quality, impact and results. Read helpful articles on job search, career management, resumes, interviewing, salary negotiation, recruiters and more.